25% off entire store for 24 hours! Ho Ho HO LY CRAP it's early to be saying that! But in the megaturbocaptalist spirit that seems to be permeating these days, we've decided to embrace the chaos and try to have a little fun with it. So Robotic Empire is running an absurd sale for all those wise enough to avoid the big chains, and for Black Friday only we're offering 25% off ALL items in our Online Store. That includes new releases, t-shirts, THE LOT. It also further discounts any current sales we had running so expect to be able to grab certain items for practically nothing! Go hog wild, get some fellow freaks a present or two, or simply treat yourself (it's been a tough year right?) - you deserve it. And we haven't run a sale this massive before, and don't know if/when we will again! That's the quick n dirty - head to the Robotic Empire - Online Store right now, literally THOUSANDS of items by lots of cool bands. Almost all really solid heavy hitters there, plus some sweet new Robo tunes via HOLLOW SUNSHINE. If you're late to the party on the fuzzed-out hit of the Winter/Summer (depending on what hemisphere you're in), this is an absurdly sweet time to pick that up. You can preview the whole album on our bandcamp here. To summarise: 25% off everything - Black Friday only (which we've decided begins right now). GO! 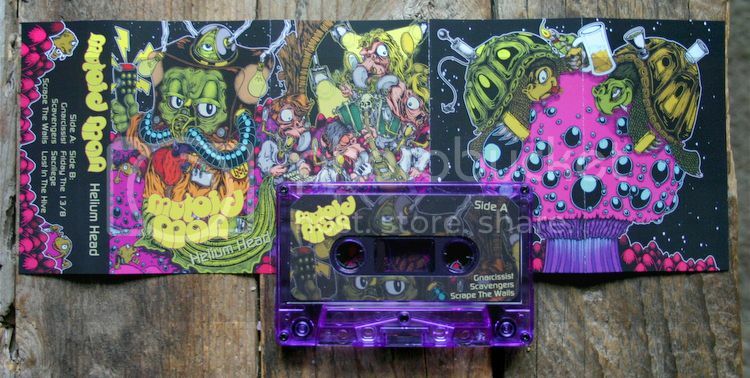 Debut MUTOID MAN cassette now available! Ben from CONVERGE and Steve from CAVE IN bringing truly beastly jams. Riffs and heavy aplenty, this is now available as part of our craycray Black Friday sale which ends TONIGHT at midnight!